I have been part of SEOClerks as a seller and customer and one of my biggest pet hates is someone that sells you guaranteed first page packages. People that offer this are most likely are going to spam your site with bad links and link structures that are common in the SEO world and most likely have been out dated for a good 2 years. What I am going to do today is offer a package that will help your site move up in the SERP. I have over 5 years of knowledge in SEO field. I have clients outside of SEOClerks that pay me monthly for SEO packages. I am simply here today to make a bit of extra money and provide some great quality on SEO Clerks. 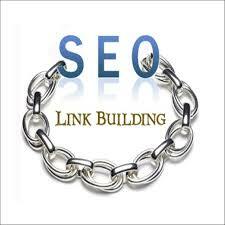 The first thing you will get is on-page SEO help. I will check out your website and find anything that needs changing. What is the point of purchasing links if your site is not optimized correctly? 5 Blog Network links, these are not just any blog network links. These are links from my own blog network. All links have Majestic Trust flow, High Moz stats and are completely natural. All sorted by topic, relevancy is key! We have a full time writer who adds natural content to these blogs. 5 Web 2.0 blogs, not only will we provide blog network links but we will also create completely natual web2.0 blogs that will have one hand written article on each site. You will get the login for each blog so you can continue to grow it. 20 Social bookmarking with your link added. These are great for if you want to add links to them in the future. These type of manual profiles are brilliant for branding. 50 Manual blog comments, we will create 50 manual blog comments on moderated blogs. These means we are aiming for the highest quality blogs and creating real natural comments. Nothing like getting them comments done manually by people with public blog lists. I hate people blasting and boasting about high PR links nowadays. Relevancy is the new PR and that is why I feel we can stay ahead of the game. People are still raving about high PR links but if your are looking for long term real results then you need to try move away from the PR process. The google pagerank toolbar has not been updated for over 8 months. We see so many people raving about google penguin and panda safe link building yet they are still boasting about high PR links. If you actually follow google penguin and panda you will realize that relevancy is a much more important factor. If anything you may have learned something from my SEO Clerks gig today but I would love for you to make an order and try me out. I know the service you receive will be one of the best.